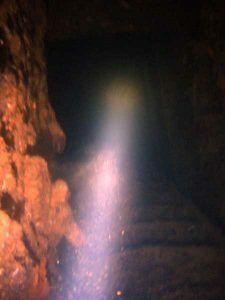 Recreational wreck divers often question whether they need to carry a redundant source of air when conducting specialist wreck diving activities. Most agencies and instructors will generally recommend the use of redundant air sources to be a prudent measure for wreck divers. 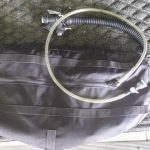 However, the use of redundant air sources isn’t a mandatory requirement – so how can a scuba diver decide for themselves whether they should equip themselves with a pony cylinder? Wreck diving can be split into 3 broad areas of technicality (Ref: Gary Gentile, ‘The Advanced Wreck Diving Handbook’). These areas have very different demands, in respect of training, equipment and required experience. This is particularly true of the need for gas redundancy. 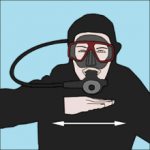 The typical ‘Wreck Specialty’ course for a recreational scuba diver falls somewhere between level 1 and 2 – depending upon the course emphasis and the experience of the instructor providing the training. 1) Non-penetration diving (i.e. swimming over/around the outside of the wreck). 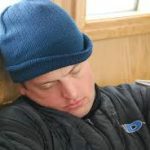 The gas management for these dives is no different than any other open-water recreational dive. No specialist skills or equipment is required. Access to the surface is not limited, so the full spectrum of Out-Of-Air (OOA) emergency protocols taught on recreational entry-level courses are applicable. 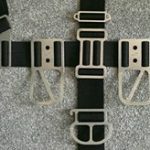 These would include; Buddy Air Donation/Sharing (the primary OOA protocol), Controlled Emergency Swimming Ascent (CESA) and Buoyant Emergency Ascent. Due to the availability of these emergency protocols, a redundant air source is not mandatory for non-penetration diving. 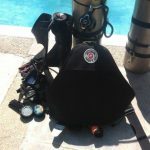 A pony cylinder remains optional, based upon the individual divers’ preferences, as it would for any recreational dive. 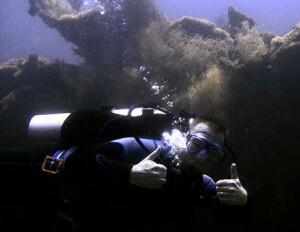 The majority of wreck divers enjoy ship wrecks as artificial reefs, rarely venturing inside due to increased hazards. 2) Limited penetration diving (i.e. within the “light zone”). 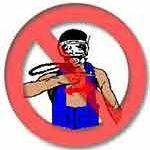 This definition matches the recommended maximum limitations that apply to recreational-trained wreck divers (i.e. 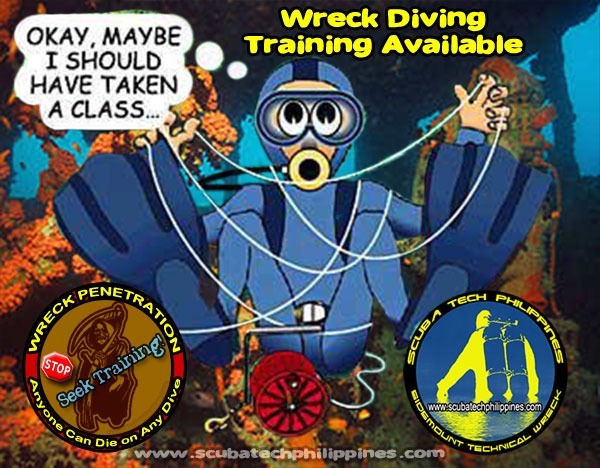 PADI Wreck Diver course). 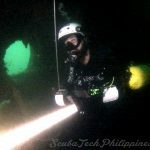 The diver should never be more than 40m linear (horizontal + vertical) distance from the surface, beyond the penetration of external ambient light or in an area the prevents side-by-side exit of two divers sharing air (no ‘restrictions’). 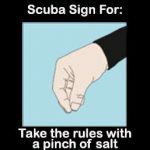 These recommended limitations, appropriate for the training given, theoretically enable the full spectrum of basic OOA protocols to remain available to the diver. However, the increased risk of disorientation, silting and entanglement within a wreck can lead to delays exiting a wreck or prevent air-sharing protocols being practicable. These factors make the use of a redundant air source much more advisable and most agencies recommend their use for these activities. 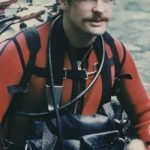 The size/capacity of the redundant air source should reflect the overall gas management plan and, as a general rule of thumb, should be no less than 1/3rd of the divers’ primary gas capacity. 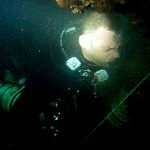 Divers should adopt the ‘Rule of Thirds’ for wreck penetration (1/3rd In – 1/3rd Out – 1/3rd Reserve) and retain the redundant air source as a further 1/3rd redundant reserve. When it comes to wreck penetration – “If in doubt, stay out”. 3) Full penetration diving (i.e. beyond the “light zone”). This definition exceeds the limits of recreational wreck diving and applies to technically qualified (Technical Wreck + Deco) divers who penetrate shipwrecks beyond the limits of ambient light penetration, through physical restrictions and beyond 40m linear distance to the surface. 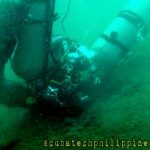 Due to much higher risk of disorientation, silt-out and entanglement, this level of diving demands much more redundancy and refined advanced wreck diving skills and protocols. It is anticipated that basic OOA protocols would not be sufficiently effective or reliable. Whilst Rule of Thirds gas management is adhered to, the duration (and often depth) of these dives demands a considerably larger gas capacity, which makes double cylinders a mandatory minimum. Air-sharing is still preserved as a contingency measure (requiring long-hose protocols for sharing through physical restrictions), but divers are also expected to apply gas management, via redundant air sources, to ensure that they can exit and surface the wreck without support. Restriction, silting and darkness are considerable hazards when penetrating wrecks. Your individual decision to purchase/utilise a pony cylinder will really be dictated by the technicality of the wreck diving that you expect to be involved in. 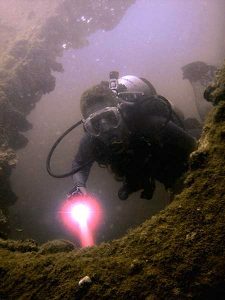 As a recreational diver, you are equipped with a spectrum of protocols that already prepare you for gas emergencies. If you adhere to the agency recommended limitations on wreck penetration (and support these with an accurate risk assessment before and during the penetration), then you should remain confident that the basic OOA protocols will remain practicable. However, wreck penetrations can sometimes go wrong and equipping yourself with a suitably sized redundant air source is a good ‘insurance policy’ against unanticipated problems. The purchase of a pony cylinder should reflect a calculated requirement that supports your overall gas management plan as a contingency redundant reserve. If you don’t have a gas management plan, then you can’t intelligently calculate a redundant gas requirement. 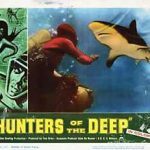 For more details, please see my Advanced Wreck Diving Techniques article.